Multidots Solutions Pvt. Ltd. are the owners & operators of DotStore (herein "DotStore"). We give high importance to your privacy as part of your visit to DotStore. Considering that we collect certain type of data with respect to our visitors, we understand that it is vital for them to know what the nature of the information we collect and how that could be possibly be put to use. This privacy statement is only applicable to the information that is collected when our apps are downloaded. A certain amount of personal information is received from our patrons, and the intent of publishing this privacy & security policy is to notify our visitors about the practices that DotStore follows with reference to usage, collection & disclosure of the data. It is assumed that by using the DotStore, you agree to the practices that this privacy statement lists. The DotStore is indeed committed to abiding by regulations that govern the usage of your personal data, and respecting the privacy rights of visitors that hit the website. With respect to visitor personal data, the organization is also committed to fully comply with global regulations related to data privacy. An important aspect of our policy is our firm belief that visitors should be well aware as to how their data is collected and how it can be possibly used. The literal definition of "Personal Data" indicates information that is personally recognizable and can be used to identify a person directly or indirectly. The data could be anything - identification number, name, payment details, email or location address, or even data points pertaining to economic, genetic, physical, cultural, physiological or social identity of website visitors. 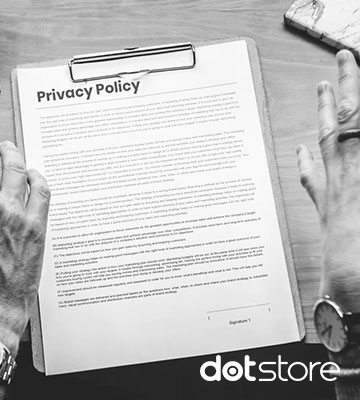 When visitors to the website have personal information to share, below is the policy DotStore enforces as an approach to maintain user privacy. The DotStore and its affiliated companies make effective usage of the personal data collected in this fashion. The result is a personalized & more involved user experience throughout the customer journey. To effectively summarize, the DotStore will only use the personal data of users for the areas they have been authorized for and only where it is mandatory. By clicking on the “Unsubscribe” button at the bottom of any promotional email sent by the DotStore, visitors can opt out from any form of automated communication. This is aligned to international regulations that apply, including the EU General Data Protection Regulation (GDPR). Furthermore, personal data of children under 13 years of age is never collected unless there is consent from the guardian in line with international legislation. We have sign-ups for webinars/seminars as well as a large number of optional downloads. These are processes where we collect personal data of our visitors. Eventually, visitors benefit from this, as keeping a tab on user information & activities allow us to offer customized offerings, as we remain in tune with demographics and the pulse of our audience. Until the time the user account is active, the DotStore safely retains the data. Furthermore, we never collect personal financial information such as credit card details. Some of our strategic third-party business partners may avail the personal data collected by us. In such cases, the appropriate data will be shared only for advertising purposes as approved by the law, or to optimize our services. Under NO circumstances do we rent, sell, trade or share visitors’ personal data with random third parties. When it comes to legal process requirement, disclosure or reporting that is legally mandated, our company may require to use or disclose your personal data, only from compliance viewpoint. With the following actions, we allow visitors to work on settings to manage personal data. The Dotstore makes good use of the large amount of automated data collection tools on its website. These tools include third party GDPR compliance as well as embedded web links. Our tools capture standard user information such as browsers, or website page that served as redirection, or the browsing behaviour for a specific user and the corresponding IP address. Comprehensively, these tools work in collaboration to deliver a better & personalized experience for users when they return to our website. In line with normal behavior, automatic data collection tools such as embedded links & cookies are made use of on the DotStore. This results in standard data collection, such as search history, browser details, user domain, IP address, time spent on the site, page visit history, clickstream behavior, etc. The data collection may not be limited to above-listed parameters. The information collected is not with the intent of associating it with individual visitor. Based on classification by browser types, MIME types and domain names, our organization derives a ton of usage statistics by analyzing the information from the browser string that is an inherent aspect of every visitor’s browser. Our organization hosts the websites in a perfectly secure environment, making effective use of password protection systems, firewalls, intrusion detection systems, coupled with other tools & technologies that prevent unauthorized accesses & avoid breaches. 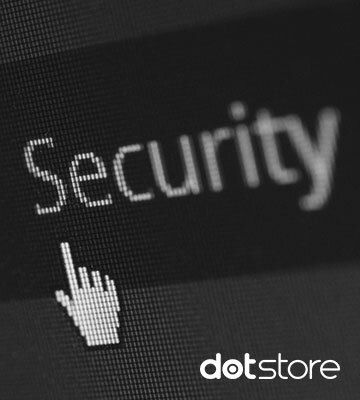 DotStore follows industry defined protocols when it comes to technical as well as physical security processes, combined with administrative controls and appropriate procedures to safeguard user data while receiving as well as transmitting. The information handling happens with best possible scrutiny, considering that the complete data exchange happens over secure HTTPS connection using plug-ins that are reliable in nature. To guarantee that only authorized users have the requisite access to the data captured on our systems, our privacy & security policies undergo periodic enhancements & detailed reviews. Promotional content suited to a user’s particular requirement, or targeted advertisements likewise are an outcome of leveraging personal information. Further information can be availed of by visiting the Network Advertising Initiative (NIA) page. Using the below links, a user can opt out of targeted advertising. Appropriate measures to abide by international regulations for personal data, including GDPR have already been taken by the Dotstore. We also have a defined commitment statement for the same. To suit the needs of our visitors, the Dotstore websites may have links to other third party products, services & websites (collectively known as the “Linked Sites”). However, the Dotstore as an organization is not responsible for the privacy policies or contents of any of the linked sites. Contact details or location data could very well be part of the information collected by third parties. As a general practice, we recommend our visitors to check out the privacy statements specific to the linked sites. Specific to the websites operated & owned by the Dotstore, the names of the products & companies mentioned may be the trademarks of the respective owners. The Dotstore website visitors have several rights that relate to their personal information. Website visitors will warrant to the Dotstore that the company websites will be not used in any way to serve any purpose that is prohibited or unlawful as per applicable terms & conditions. Users will refrain from using the company websites in a fashion that could disable, damage harm or overburden the websites, or interfere with other user experiences or usage of the Dotstore offerings.